Laura Taback volunteers at the Health Foundation office helping out with workload and events planning. She recently went to Vietnam to help two schools with the necessary items to ensure kids can learn. Learn more about Laura's volunteerism! Larry Boutilier is one handy guy and a fabulous volunteer for the Health Foundation. He is behind the scenes creating and repairing and building things that make our work easier and contribute to the success of the Foundation. Melissa Gladue is an extraordinary volunteer who loves supporting healthcare! Sharing and caring are her hallmarks. Everyone wants the best health care for themselves and their loved ones. The Northern Lights Health Foundation helps make that a reality by working with the community to fund health care priorities in Wood Buffalo. 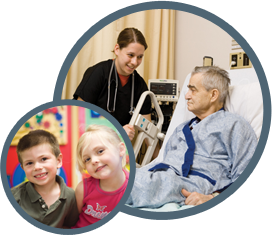 Join us today to help transform local health care, and positively impact patients and their loved ones.